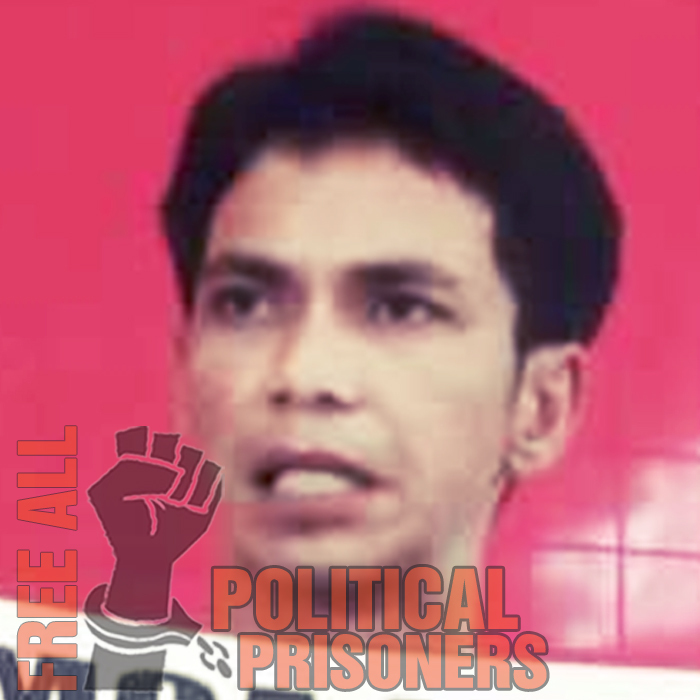 Darwin Liwag,36, is the secretary general of Pagkakaisa at Unayan ng Magsasaka sa Laguna (Pumalag), a local peasant organization in the province of Laguna. He and two others (Reynaldo Malaborbor, 53, and Aries Cuazo, 33), were arbitrarily arrested on October 5, 2010 and were later on surfaced at the military camp of the 1st Infantry Battalion in Cavinti, Laguna. Malaborbor and Cuazo are staff members of the said organization. They were charged with illegal possession of firearms and explosives. Darwin Liwag, 36, Reynaldo Malaborbor, 53, and Aries Cuazo, 33, were on their way to Laguna State Polytechnic University in Sta. Cruz, Laguna to facilitate a blood-letting activity for the victims of dengue in the said province. However, upon arriving in Barangay Lewin, Lumban, Laguna, some members of the 1st Infantry Batallion and local police arrested the three peasants, at around 3:00 p.m. They were accused of being members of New People’s Army (NPA). Their bags, cellphones and other personal belongings were divested, according to Karapatan-Southern Tagalog.